AutomatedBuildings.com Article - Are (W)eLearning Yet? Article for Automated Buildings.COM - Are (W)eLearning Yet? We call the creation and delivery of learning material by electronic means "eLearning." David Fisher is President of PolarSoft Inc. a Pittsburgh-based Interactive Multimedia and eLearning design company. Fisher has been very active in the development of the ANSI/ASHRAE standard BACnet, and many BACnet related projects including teaching seminars on BACnet. He is currently working on "The BACnet Primer(TM)" a comprehensive interactive multimedia BACnet eLearning course. he world of Building Automation is full of mounting pressure. Exploding growth and change in technology has turned the traditional thinking about controls and automation on its head. The cost of once exotic technologies is falling and causing dramatic change in how we approach automation, and where we think the boundaries are. Thanks to standards and an expanding global market view, we are seeing more and more integration of once disparate automation systems, and more real interoperability between competitors. Yet these advances come with the cost of ever increasing complexity that always accompanies "flexibility." At the same time, the costs of energy and human talent are relentlessly increasing so there is continuous pressure to reduce costs and increase efficiency. More than at any time in the past, professionals are seeking training and education to help them deal with these pressures. As we all struggle to keep pace, finding the time and money to attend face-to-face training or educational courses is becoming rarer and rarer. And yet, as things get more complex and we are pressed to learn more and do more, how can we keep up (let alone get ahead) without the knowledge gained through formalized learning? Even if time and funding is available, for many specialized technical areas the problem may simply be logistics. How do you train 800 people when the only course available has 20 seats per month? The need for education is equally pressing for manufacturers. Faced with mounting competition and complexity, they are keen to educate their customers, sales people and distribution about products and technology. But even large companies have limited resources for training and potentially a very large audience. Luckily, ours is not the only industry faced with these issues. The same forces of growth and change have spawned many new technologies that have literally redefined computing, communications, automation and even marketing and selling. In the same sense that word processing, email and the internet have reshaped our view of documents and printing - multimedia, CD-ROMs and the internet have also changed our concept of how to approach learning, teaching and knowledge. Regardless of the subject, traditionally there have been two approaches to courseware: face-to-face presentation and self-directed study. 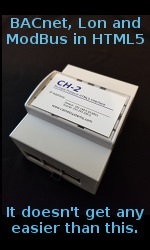 While there are many kinds of instructor-lead courses, the bottom line is that instructor(s) engage students using a presentation or lecture backed-up with printed collateral materials, possibly interactive Q&A and quizzes/tests. 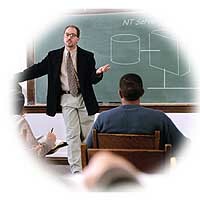 Self-directed study is very similar except that it is up to the student to read the lecture instead of listening to it. Of course, excellent execution of writing, diagrams or pictures and engaging delivery has a big impact on the effectiveness of any course. Most of us have personal experiences that represent a wide continuum of success or failure in achieving these goals. Ignoring quality of execution for the moment, the key differences between instructor-lead and self-directed learning models are immediacy and pace. With an instructor, students can (usually) ask questions when they are confused, listen to the questions that others raise and get the benefit of some flexibility in deviating from a narrow path as the need arises. With self-directed learning, you can spend as much time as you need to, going back over a confusing section, reviewing a previous point, or considering particular statements or questions. Over time, as improvements in technology have emerged, teachers, educators and trainers have made significant advances in the quality of information that can be presented. Even a modest PowerPoint presentation can be a major improvement over blackboards and viewgraphs. An explosion of technologies over the past decade have allowed sophisticated multimedia techniques such as animation, video and interactivity to be applied to courseware. The ideas behind multimedia presentation are not new. After all, the cinema has been a powerful communication medium for nearly a century. But the cost in terms of expertise, tools and human effort has made many of these approaches prohibitively expensive in educational venues. Today, that has changed dramatically, allowing sophisticated ideas to be presented in engaging and intuitive ways. So the great news is that the tools and technology for learning and presenting information have never been better, or more accessible. This creates terrific opportunities for presenters of information to create and author courseware that is simply much better than it has ever been before. The benefits to potential students or professionals seeking that knowledge are obvious. Happily, these capabilities have arrived at a time when they are desperately needed. Companies and professionals who	can leverage these new technologies to serve their needs will continue to have a decisive edge. Examples of best-practices in multimedia courseware abound. Three specific examples, of how interactive multimedia technology has been used successfully in practice, serve to illustrate the fundamental sea change that has already occurred. Each of these examples is possible because of a shift to electronically delivered course material, and the integration of multiple types of media into a small number of electronic delivery methods. We call the creation and delivery of learning material by electronic means "eLearning." While there are many good things to say about traditional printed collateral, overwhelmingly courseware is prepared and delivered today on CD-ROM. Besides the obvious reduction in weight, shipping cost and manufacturing/distribution costs, CD-ROMs have the added advantage of allowing electronically structured and delivered courseware to be distributed with sophisticated and extensive functionality. Instead of simply reading and turning pages, students can truly interact with course materials, take multiple paths through courses, dynamically query Q&A databases and see a rich presentation of material that engages multiple senses and learning modes. These capabilities bring many of the rich and immediate experiences of animated Flash examples, sounds and video into the realm of self-directed learning. 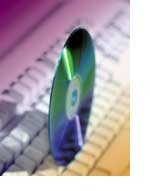 The extensive storage capacity of CD-ROM allows very sophisticated material to be distributed compactly. This translates into a much lower cost-per-head for every type of training, education or promotional program that employs these technologies. The Internet and related technologies have had a tremendous impact on learning. For the most part, the same kinds of technology (or at least capabilities) that can be delivered on CD-ROM can also be delivered through the Internet (or a corporate intranet). It's easy to imagine course materials that are accessed via the Internet since how a course looks and operates as far as the student is concerned can appear nearly identical to CD-ROM delivery. So the second example is the delivery of courses using a network resource, rather than a physical CD-ROM. Of course there are differences and issues. Multimedia material that makes use of high bandwidth media such as video, is still best delivered from CD-ROM except in those cases when a high bandwidth network infrastructure is available. The third example is the concept of instructor-lead courseware that is delivered remotely. The most common example of this idea today are multi-student courses delivered over the Internet with realtime instructors. Typically these courses use a team of instructors to deliver the course lecture, answer student questions interactively and operate the presentation or webcast. Most of the advantages of both types of course delivery are available using this method. Some excellent examples of this kind of distance learning are KnowledgeNet.com and Centra.com. One thing is certain: there's eLearning in your future. Research firm International Data Corporation (IDC) predicts that U.S. sales of eLearning technology alone will top $11.4 billion by 2003, while Legg Mason is predicting eLearning market growth will reach $40 billion by 2004. An interesting, but not surprising, trend is a marked shift away from static content instruction, toward interactive, dynamic and collaborative learning models. Organizations that take advantage of eLearning approaches can reap significant benefits. Whether your organization has training and education needs for technical subjects, human resource issues or internal training in sales and marketing areas, an electronically delivered learning solution is well worth the investment. The same rapid payback is even more significant for manufacturers and distributors wanting to educate their customers as the benefits increase with scale. Regrettably, buying a piano (even a great one) does not make you a concert pianist. To take advantage of the many benefits of interactive multimedia technology and maximize the payback, eLearning courseware must be carefully designed and deployed. To be successful in this requires a mastery of a dizzying number of increasingly complex technologies. So while extolling the virtues of today's eLearning possibilities, we need to keep in mind that creating this kind of engaging material is still very difficult. It comes as no surprise that a significant and growing percentage of eLearning content creation and delivery is being outsourced to companies that specialize in these technologies. So are we eLearning yet? If you aren't, you need to be real soon. The technology and expertise is available to help you learn more, faster and better than ever. If you're responsible for internal or external corporate training and education of any kind, you should be using one or more of these eLearning solutions and developing a long term eLearning strategy. You should also seriously consider outsourcing the development of courseware and form a relationship with an eLearning strategic partner.